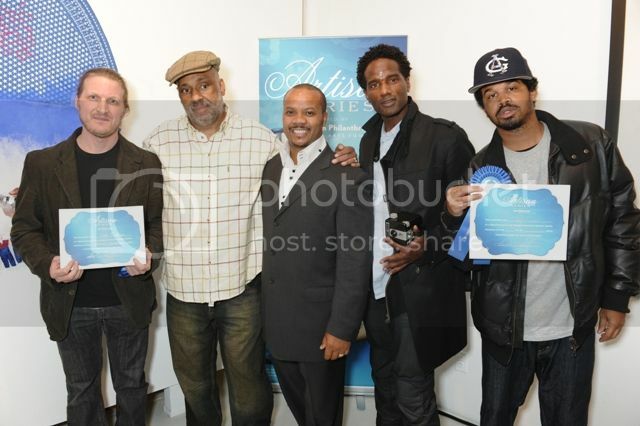 NY finalist Joe Bramley-Fenton, Danny Simmons, artist Andre Guichard, photographer Eric Henderson, and finalist Ian Reid attend the Bombay Sapphire Artisan Series on November 17, 2010 in New York City. 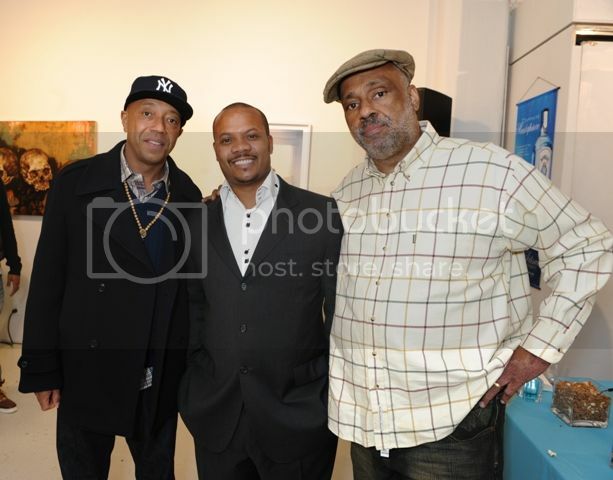 ABOUT RUSH PHILANTHROPIC ARTS FOUNDATIONRush Philanthropic Arts Foundation is dedicated to providing underserved urban youth with significant exposure and access to the arts, and to offering exhibition opportunities for underrepresented artists and artists of color. Rush was founded in 1995 by three brothers: Danny Simmons, visual artist and community builder; media mogul Russell Simmons; and Joseph “Rev. Run” Simmons of the legendary hip-hop group Run-DMC. Their goal was to fill the gap that poor and minorities face in both accessing the arts and exhibition opportunities. Over the past 15 years, Rush has served over 700,000 urban youth and has developed a broad base of friends, collaborators and supporters dedicated to addressing these issues. In addition to the 2,000 students served each year in its education programs, Rush exhibits the work of 40 to 50 emerging and community-based artists in its galleries; welcomes over 10,000 gallery visitors; distributes grants to nonprofit arts organizations in NYC and South Florida; and provides unique opportunities for young people interested in careers in the arts. Rush currently operates two galleries, Rush Arts Gallery and Resource Center in Chelsea (Manhattan) and Corridor Gallery in Clinton Hill (Brooklyn). For more information on Rush Philanthropic Arts Foundation, visit www.rushphilanthropic.org.